As a yoga instructor I am incredibly picky about my workout clothes. They need to fit well (no slippage in asana, thank you), be versatile, and be super comfortable. I was asked to try out two outfits from PUMA, one from their performance line, and one from their fashion comfort line and sneakers to complement both. I took both outfits for test runs- it turns out I need more PUMA in my life! Now, because I am all about the comfort I was super excited about the fashion comfort line. I am constantly on the go and love be active whenever I can, but I try not to live solely in my yoga pants! I tried out the Studio Yogini Top paired with a pair of Studio Capsule Pants and the Carson Runner sneaks for a walk with Tinkerbelle, my pup. I immediately love the Yogini top. Its cut was perfect and the cutouts are a fun addition that adds movement in the top as you walk, it would be perfect to throw on after teaching (or taking!) a class over your yoga top! Not going to lie, when I first saw the Capsule pants I was not a fan, in fact I said “crap, Justin Beiber pants.” But oh how wrong I was. I thought the harem-like pants would feel like a diaper but they were just the opposite, they fit my rather sizeable derriere wonderfully, had room to move around in, and they were super cute both as capris and long pants. 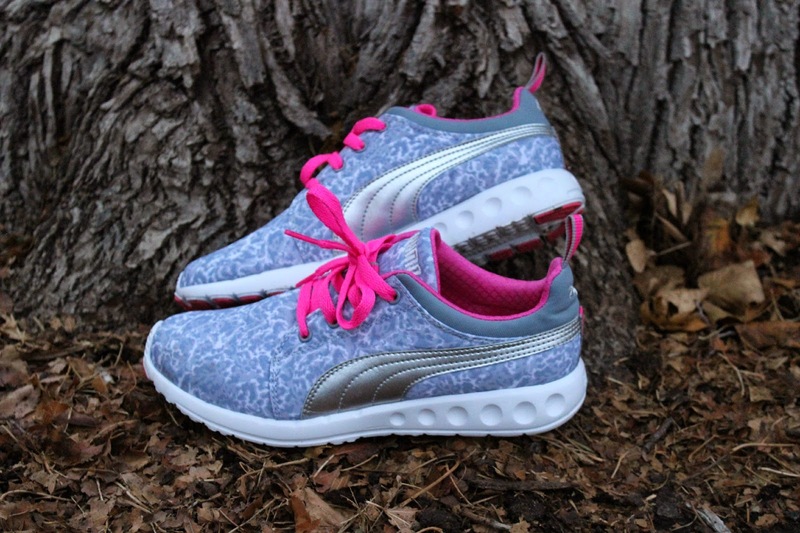 PUMA proved me wrong- and I am SO glad they did! As for the Carson Runners? I haven’t taken them off. They have replaced my go-to no support fashion sneakers and my feet are extremely happy because of it. It is rare that I find a sneaker that can lace up to be tight enough for my insanely skinny feet (usually the lace holes touch!) and these are perfect with enough support for my high arches! Plus the dappled grey, pink, and metallic silver accents add just a bit of sass to my outfit! 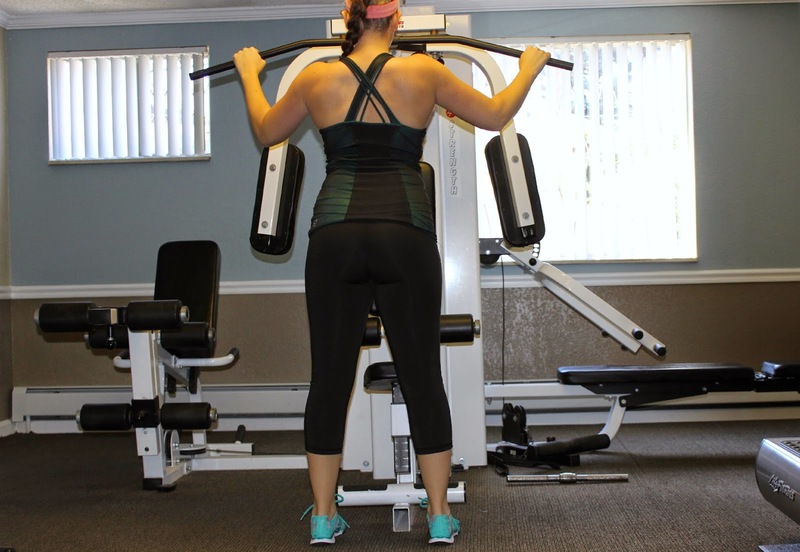 Next, I took to the gym for a workout session to put the performance gear to the test. It passed with flying colors. I adore the Move ¾Capris! Often I have trouble with the waistbands of fitness tights not staying put while I workout- curvy girls everywhere would probably echo that sentiment. The Move Tights stayed put! *does happy dance* The fabric was breathable and flexible and thick enough not to be see-through but not thick enough to be cumbersome. Perfect. The green metallic sheen to the Gym Tank was a cool way to add some color to my gym outfit. I am usually the girl with the neon tights, but I love the understated cool-factor of this top. Pair the fun color with the awesome quad straps that fancy up the basic tank and you’ve got a great tank that is functional while being beautiful. The compression-like fit with mesh side inserts also is great for recovery and is sleek to you don’t get caught on any weights gone awry. As for the sports bra? I love that it is longer than most- more like a crop top so I can get away with wearing just it while I pop onto the treadmill! Add that it has stay-put grip on the inside to keep everything in place? New favorite. Lastly, the Mobium XT sneakers didn’t disappoint! Once again they were narrow enough for my popsicle stick feet so they fit like a dream, and the amount of flex was amazing for agility work in the gym. 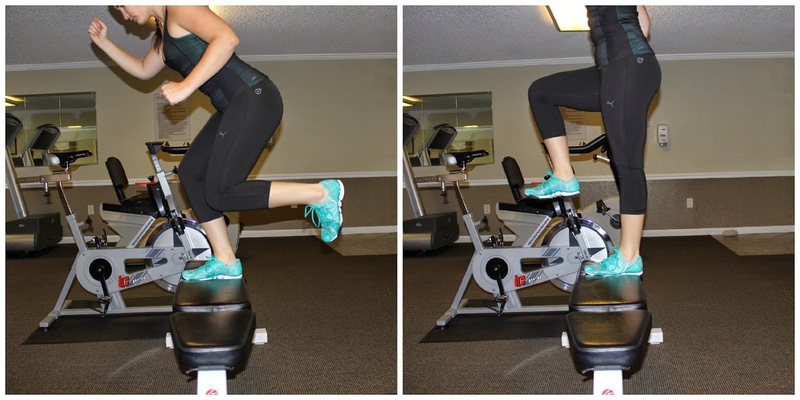 Whether I was squatting, jumping, or running on the treadmill they were comfortable and supportive and moved with my feet, plus you really can’t go wrong with turquoise shoes! 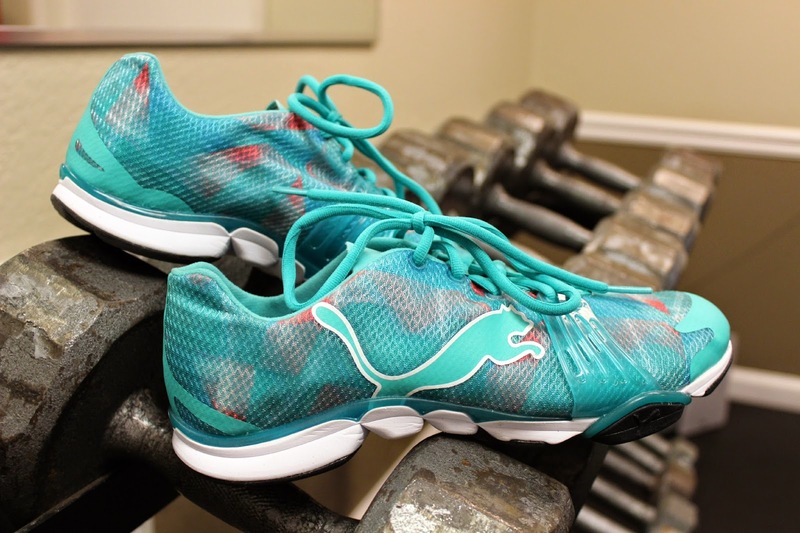 Have you ever tried out PUMA fitness gear? I’d love to know what your favorites are in the comments below! I know there will be plenty more in my wardrobe soon.